The U.S. Securities and Exchange Commission is investigating trading activity in shares of Longfin, a tiny stock that surged astronomically in December after the firm announced a cryptocurrency-related acquisition, the company disclosed late Monday. Longfin shares, which go by the ticker symbol LFIN, plunged 30.89 percent to $9.89 a share. The stock is now down 82.43 percent for the year so far. The Division of Enforcement of the SEC informed Longfin on March 5 that the agency is investigating trading in the company’s shares and requested documents related to its IPO and acquisition of Ziddu.com, according to a required 10-K filing. “We are in the process of responding to this document request and will cooperate with the SEC in connection with its investigation,” Longfin said in the filing. 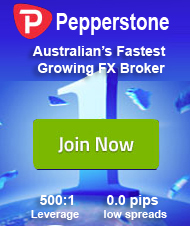 Many law firms have also announced investigations into the trading activity, the document said. The tiny, little known stock had soared more than 1,000 percent in two days after the company announced in mid-December it was buying Ziddu, which says it’s a microlending company using the same blockchain technology as bitcoin. Longfin agreed to buy the microlending company from a private Singapore firm called Meridian Enterprises, which a filing showed is 95-percent-owned by Longfin CEO Venkat Meenavalli. The stock dropped sharply last week after a negative tweet from noted short-seller Andrew Left’s Citron Research, and news that FTSE Russell was removing Longfin from its benchmark Russell indexes due to insufficient free-floating shares. “We are reapplying” for inclusion in the indexes, Meenavalli told CNBC in a phone interview last Tuesday. He said the stock’s free float has increased above the minimum 5 percent as of March 11 due to the expiration of a lockup period on a consultant’s stock holdings. In Monday’s 10-K filing, Longfin reported a net loss of nearly $26.4 million from its inception on Feb. 1, 2017, to Dec. 31, 2017. 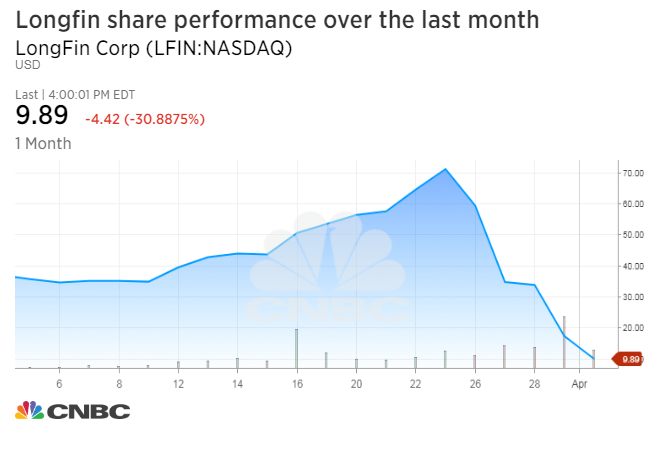 When contacted by CNBC, Longfin would not elaborate on the SEC investigation and said that free float as of March 31 was 7.11 percent. The SEC did not respond to a CNBC request for comment.